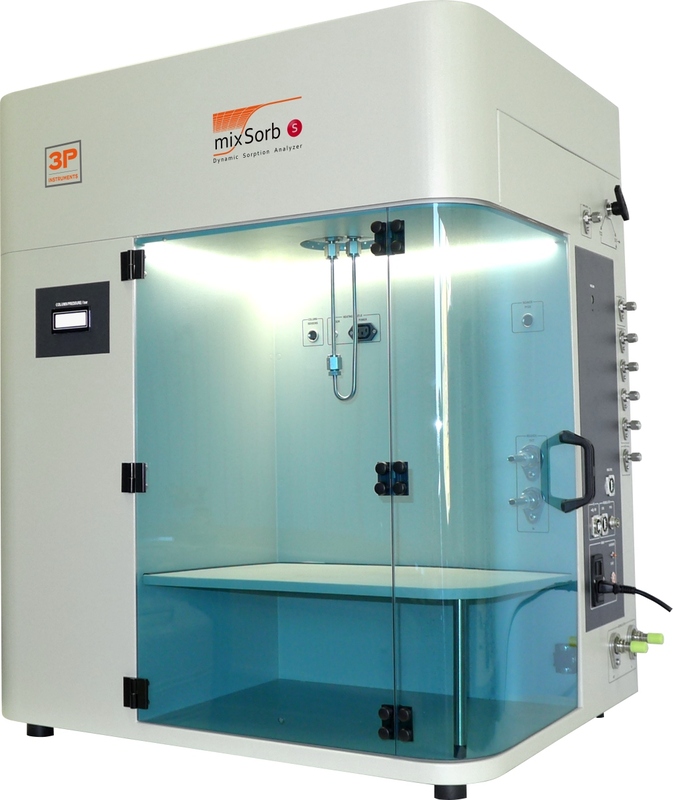 The mixSorb L by 3P INSTRUMENTS is a commercial breakthrough analyzer that provides unique capabilities to investigate arbitrarily complex dynamic sorption processes in a uniquely safe and easy-to-use bench-top instrument. Industrial adsorbents such as zeolites, active carbons, silica gels, etc. can be investigated under authentic process conditions in a broad temperature and pressure range, with adjustable gas flow rates up to 40 L/min and well-defined gas compositions. The mixSorb S provides unique capabilities to investigate novel materials, like MOFs COFs etc. by mixed gas adsorption. Novel materials are in focus of research in recent last years. These materials can have very high selectivities due to their extraordinary surface chemistry and have to be investigated by mixed gas sorption for a deeper understanding of their sorption behavior. In contrast to mixSorb L the mixSorb S is ideally designed for very small sample amounts (powders). Especially R&D groups have now the possibility to measure new synthesized materials by complex dynamic sorption processes in a wide field of different gas- and gas/vapor-mixtures by using different parameters like: pressure, temperature gas velocity/dwell times, cycle tests and much more. These experiments allows to get data, next to the effective adsoprtion performance, of kinetics, co-adsorption phenomenon or displacement effects, sorption selectivities, data of gas mixture adsorption and heat balance of the sorption process. The mixSorb SHP (high pressure) was designed as a special device series especially for applications in the natural gas sector as well as gas storage studies on new materials under high system pressures (up to 68 bar). For the investigation of new materials for the purification of natural gas for the separation of higher hydrocarbons, for drying and further investigations pressures up to 70 bar are necessary, in order to reflect the technically relevant system pressures. In the field of gas storage studies are on the one hand the reversibility (loading and unloading of an adsorptive gas storage) and on the other hand for possible, undesirable enrichment of impurities of the gas to be stored required. 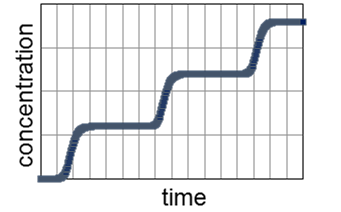 For adsorptive methane storage (ANG), for example, pressure ranges up to approx. 40 bar are frequently investigated. 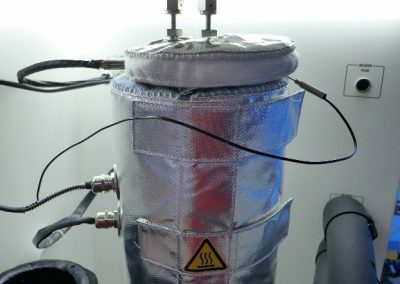 Another application is the adsorptive purification of reforming gas for hydrogen production. 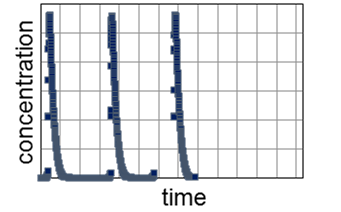 Technically, these processes are carried out at system pressures of about 30 – 40 bar. Also in this case novel materials for this application should be examined in the mentioned pressure range. 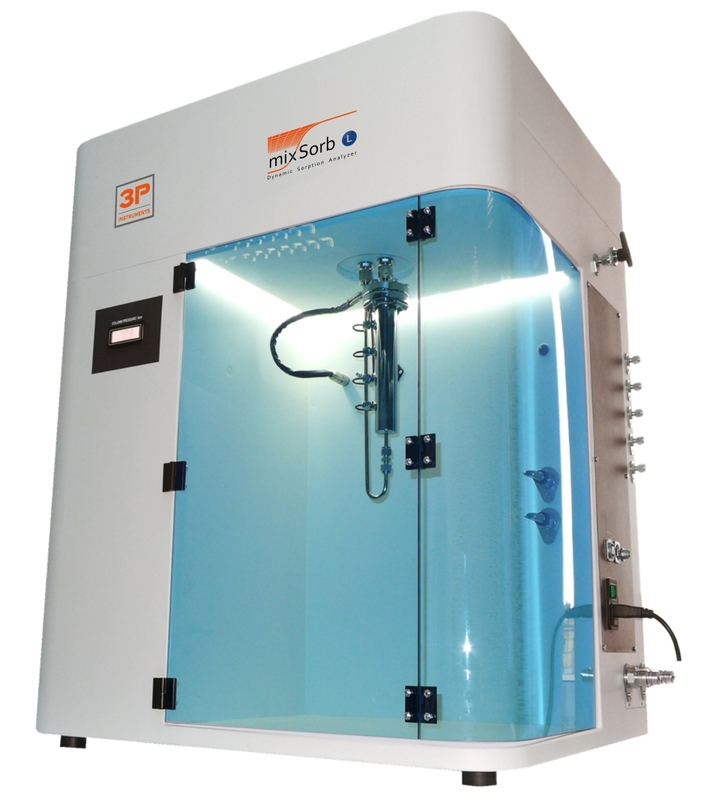 The mixSorb is a fully automated breakthrough-analyzer. It allows the determination of breakthrough curves, the investigation of the kinetic performance of adsorbents and the investigation of co-adsorption and displacement phenomena. 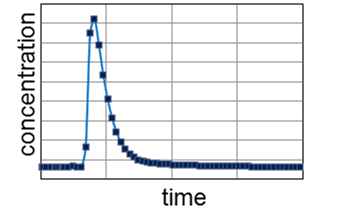 Furthermore, the sorption selectivities of different adsorptives can be determined and technical separation processes can be reasonably downscaled. The application of the dynamic sorption method allows the determination of single- and multi-component adsorption isotherm data. The status of all sensors and valves, the path and direction of gas flow and all relevant system information for safe and convenient operation can be viewed at a glance on the controlling PC. The program allows furthermore to compare different experiments, easy data export, the generation of integration reports, viewing an animation of the measurement and much more. View the following Videos to take a glimpse of this software package. The mixSorb series offers various options to create the best possible instrument configuration for your needs. 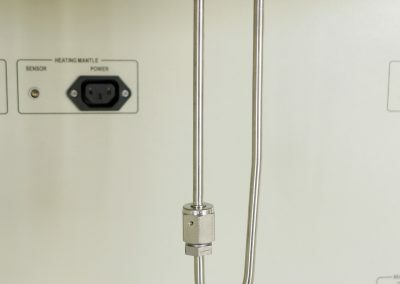 While the mixSorb S and SHP can be equipped with Peltier-controlled “Bubbler”-type evaporatores, the mixSorb L features a liquid injection-type evaporator. 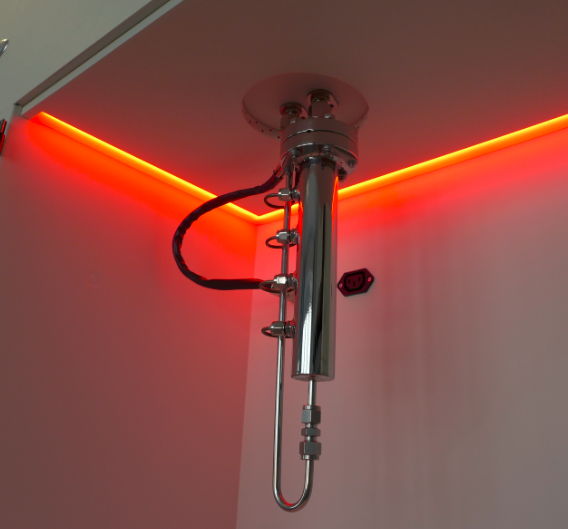 This technology has the advantage that the liquid is dosed precisely, mixed with the gas (spray formation) and then evaporated – therefore dosing is completely independent from experimental pressure and temperature! Additionally, liquid mixtures can be incorporated, if the liquids are miscible. 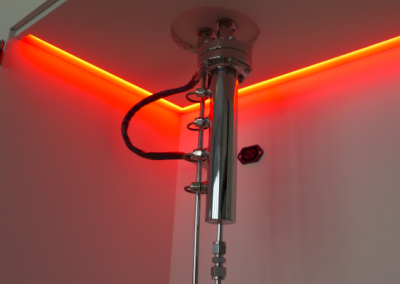 The knowledge of the gas and liquid flow rates gives an accurate indication of the vapor concentration/humidity, without actually measuring it. 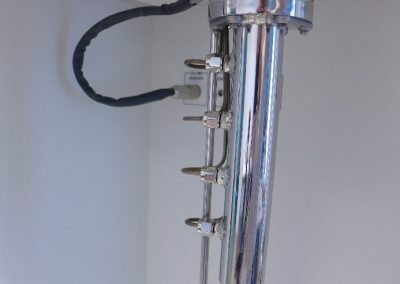 With the Vacuum-Option, a Vacuum Pump can be connected to the instrument. 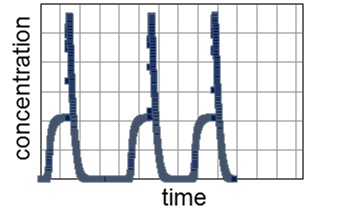 A Software function is enabled, which allows the activation of the pump to evacuate the manifold and the adsorber column during pretreatments or analyses. 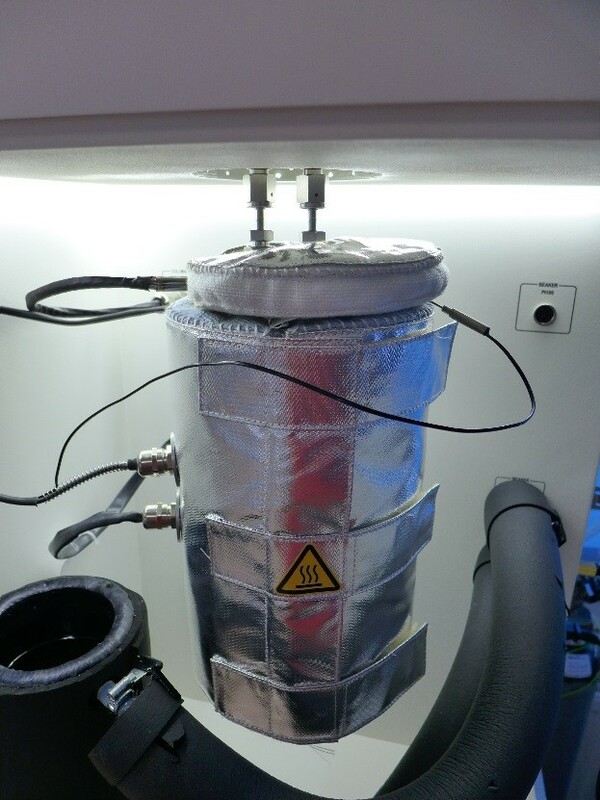 Besides a more effective sample pretreatment, this option allows the emulation of a VPSA-process (Vacuum-Pressure Swing-Adsorption) with one adsorber column. You can use the “Vacuum-ready” option and your own vacuum pump or order one of two vacuum pumps together with this option. If you want to apply vacuum only for sample pretreatment without gas flow or with very small carrier gas flow (below 100 ml/min STP), the “diaphragm pump” option is sufficient. Pressures as low as 75 mbar can be obtained. If you want to apply low pressures under higher gas flow (up to 1000 ml/min STP), especially for the special application of Vacuum Pressure Swing Adsorption (VPSA) you should order the “scroll pump” option, which allows higher gas throughput and pressures as low as 0.02 mbar. mixSorb S: The mixSorb S and SHP are equipped with a micro adsorber with a bed volume of less than 1 cm³. The instruments are designed in a way, that the larger adsorbers of the mixSorb L fit to the other mixSorb instruments and vice versa. 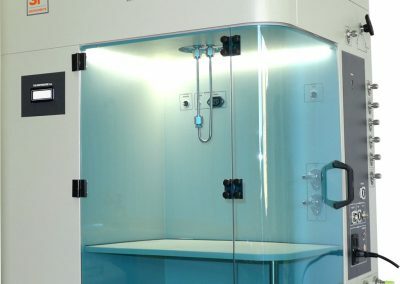 Th recirculating bath extends the temperature range of the instrument to -20 °C to 90 °C (with the bath) + 40 °C to 400 °C (with the standard electrical heating) and furthermore increases the thermal stability drastically. The device can be fully controlled with the dynaWin software. 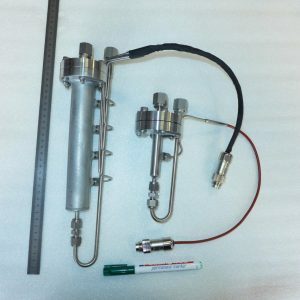 The circulating liquid also supplies a manifold heat exchanger that cools/heats the gas mixture to the desired experimental temperature before it enters the sample cell (adsorber) to prevent non-adsorption-related temperature gradients. Weight: 53.5 kg (118 pounds). The recirculating beaker has be used with any type of recirculating bath (it is recommended to use the recirculator option). 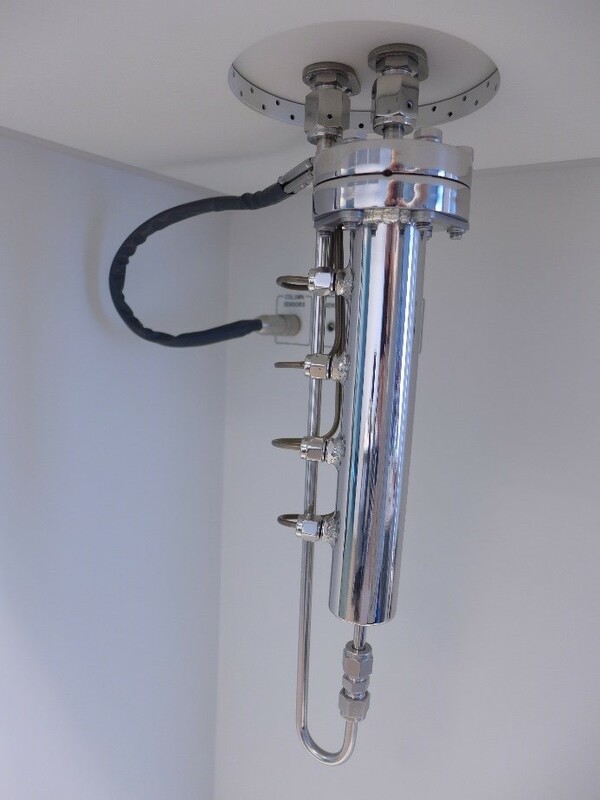 This special designed aluminum dewar helps to hold the sample cell (adsorber) at a very constant temperature. It can be filled with any kind of heat transfer fluid. This liquid has no contact with the primary circulating liquid. This prevents the sample cell to get in contact with the primary circulating liquid, that may contain some unwanted components. While any additional analytics can be attached to the dynaSorb BT by default, with the Mass Spectrometer Option, a Pfeiffer® mass spectrometer (ThermoStar™ or OmniStar™) can be remote-controlled by the dynaWin software. Controlling includes turning the filaments on/off and starting/stopping data acquisition with the Pfeiffer® QUADERA® Software. 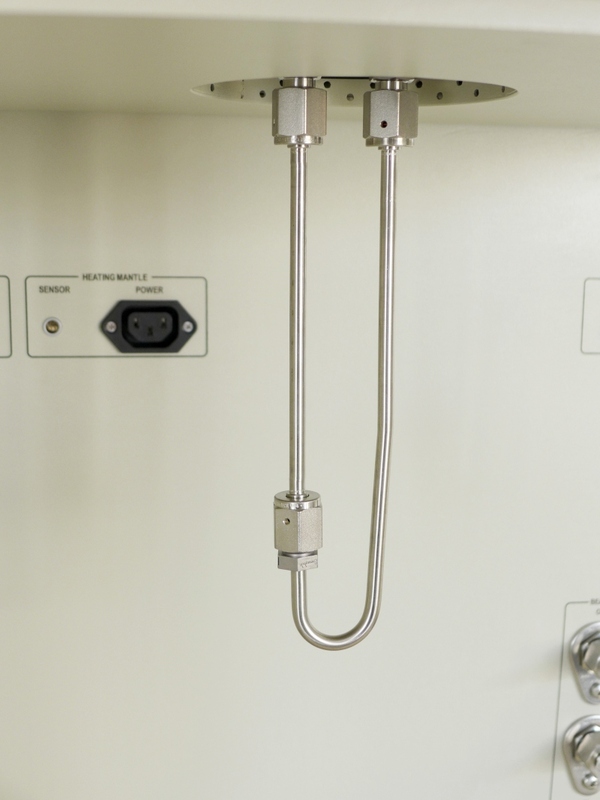 The package includes a communication cable and a capillary holder to connect the dynaSorb BT with your corresponding mass spectrometer. 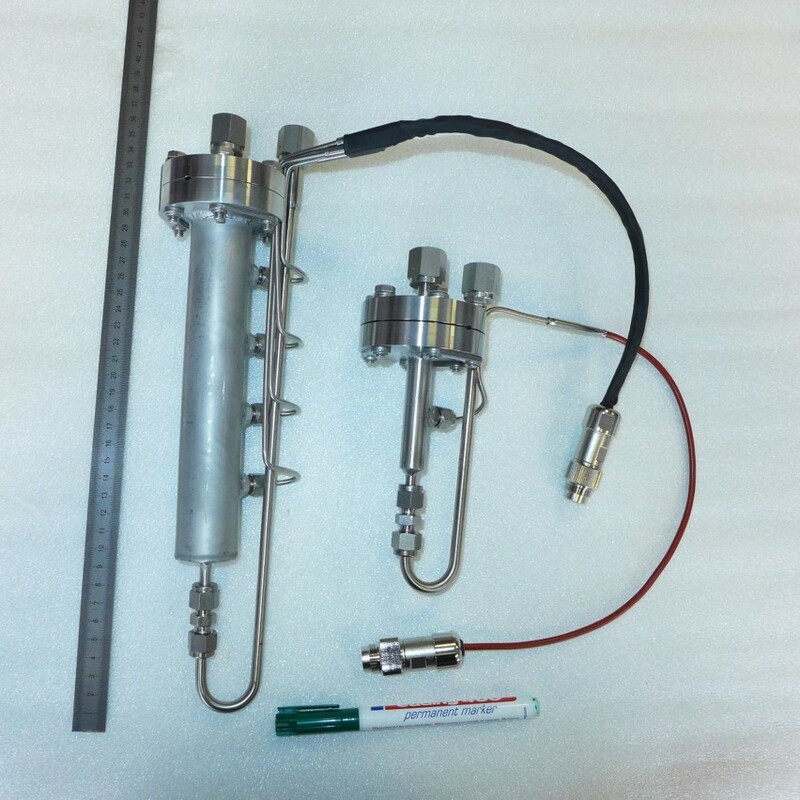 A Flowmeter can be included in the Manifold to measure the mass flow after the adsorber column. 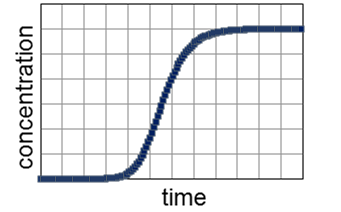 Since, at high concentrations, the mass flow, which is flowing into the column, is different from the mass flow which is flowing out of the column, until 100% breakthrough is reached. This option is necessary when you want to determine mixture equilibrium data with the dynaSorb BT. 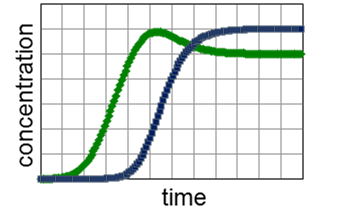 The measured flow is always given for nitrogen equivalents at standard conditions since the gas passing the controller has a variable composition. With the help of gas factors, the integration routines of dynaWin and dynaSim correct the measured flow rates by taking into account the measured concentrations of each gas species at each point of the measurement to calculate loadings. mixSorb L: While all MFCs come with Kalrez (FFKM) seals, the seals of the valves in the manifold are Viton (EPDM in older versions) by default. These can be upgraded to Kalrez as well (“Kalrez” option). Other sealing materials on request. The Standard working seals for the sample cell are made of copper (CF and VCR seals). There are other sealing materials (Teflon, Viton, Stainless steel) on request. mixSorb S and SHP: All MFCs come with FFKM seals, the valves are equipped with PEEK and FKM seals.